Motivating the consideration of the human impact early in the development of systems and processes is both a noble and a practical objective. It is noble in the sense that developers have the opportunity to make the use and maintenance of systems and processes easier for humans. It is a practical objective because early consideration yields the greatest economic and performance gains. The opportunities for improvement are the greatest early in the development of the system or process. Too frequently, developers defer the consideration of the humans to late in the design process with the consequences of expensive fixes, extended schedules, or numerous human errors in operation and maintenance. Serving as a bridge and a highly understandable and readily accessible source of human factors and human reliability information allows this publication to provide the working knowledge to help achieve the first objective. Introductory tutorials, such as those on videotape, compact disk, Webinars and in oral presentations, provide only a brief exposure to the knowledge required to ensure that humans perform properly in systems and processes. On the other hand, the many excellent textbooks and reference volumes provide detailed presentations of human factors data or contain extensive explanations of the human factors and the human reliability principles. Extracting useful information from these publications frequently is rather laborious. As a bridge, this publication provides concise, readily understandable descriptions of widely applicable principles, provides selected data, and directs the reader to the sources of more detailed data. This publication does not substitute for those more extensive publications, but rather serves as a pathway to them. There is much material in the text that pertains to the conduct of a human factors engineering program. This is included to provide the reliability engineer with an understanding of how information is developed regarding the roles of human in the system or for the product. 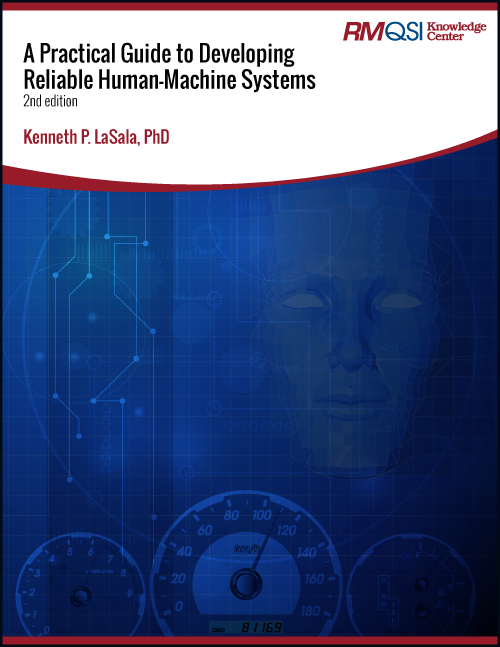 From the human factors engineering activities, the reliability engineer can extract the information needed to meet the data needs of the cognitive model. Thus, reliability engineers are encouraged to participate in those human factors engineering activities that can supply the data that they need. © 2016 K.P. LaSala Reprinted by permission of the author.